BBC4 in the UK has expanded its international drama offering after acquiring series including Safe Harbour from Australia. The four-part psychological thriller was produced by NBCUniversal International Studios-backed Matchbox Pictures and acquired from NBCUniversal International Distribution. 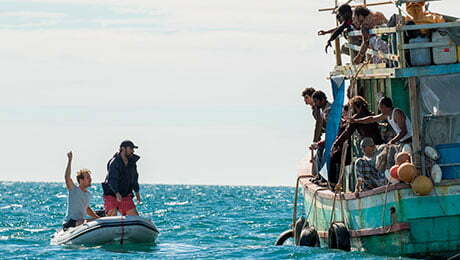 It follows six friends who set sail on a yacht trip from Brisbane to Indonesia and has already been acquired by Hulu in the US. The series was originally commissioned by Australian pubcaster SBS and is directed by Glendyn Ivin, and stars Ewen Leslie, Jacqueline McKenzie, Phoebe Tonkin, Joel Jackson and Leanna Walsman. BBC4 has also acquired returning shows including Icelandic crime series Trapped from RVK Studios and Dynamic Television; Danish drama Follow the Money from DR Sales; and Entertainment One’s Cardinal.